Low shrink temperature polyolefin heat shrink tubing. 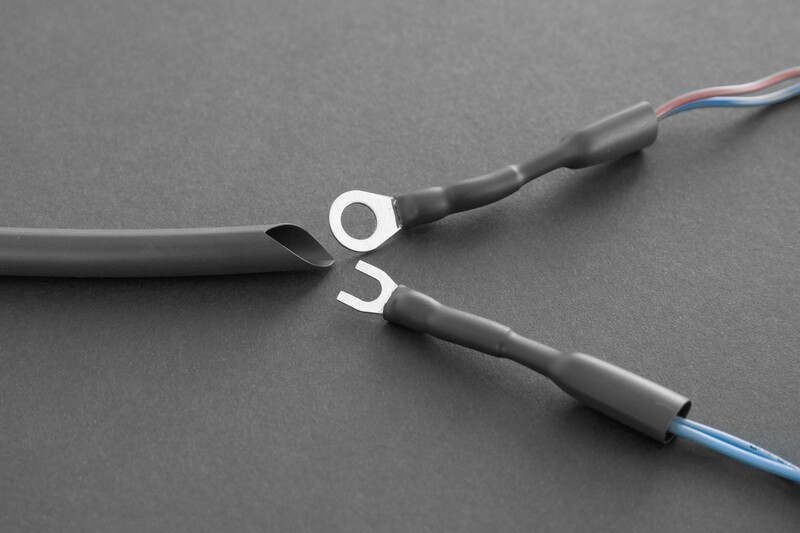 This is a highly flexible, low shrink temperature heat shrinkable tubing. Easy to handle and install. HLST is a highly flexible, low shrink temperature heat shrinkable tubing. Easy to handle and install, it's low shrink temperature (+80°C) offers exceptionally fast recovery for maximum efficeiency in high volume commercial applications and makes it suitable for use on or near delicate temperature sensitive materials e.g. PVC jacketed wire and cable. Although not flame retardant, HLST meets the automotive flame propagation standard MVSS 302. The product also gives good physical and electrical performance. Typical applications are electrical termination, insulation, colour coding, covering of heat sensitive devices, cosmetic coverings and mechanical protection. Offers exceptionally fast recovery for maximum efficiency in high volume commercial applications and makes it suitable for use on or near delicate temperature sensitive materials e.g. PVC jacketed wire and cable.